As our downtown district, Town Center is a hub for dining, nightlife, shopping, and the arts in Virginia Beach. While nationally recognized brands like Ruth&apos;s Chris Steak House, The Cheesecake Factory, The Loft, The Funny Bone Comedy Club, Anthropologie, and Cold Stone Creamery will bring you in, Town Center is also home to many gems that can only be found locally. Do yourself a favor and check them out. Here is our Locals Guide to Town Center. When you have shopping on the brain, our downtown district will not disappoint. While Town Center is a shopaholics dream with stores like lululemon athletica, Monkee’s, Paper Source, Free People, and The Loft, there are some local shops that will be a great addition to your shopping adventure. After you’ve filled your bags with all the clothes and crafts your closets can handle, you’re not done yet! With shops like Eclectic Design Florist & Gift, a must-visit for lovers of plants, and Mrs. Bones, who has been creating custom dog collars and leashes from more than 500 brocade, tapestry, velvet, tartan and jacquard woven trims, there&apos;s no shortage of shopping options at Town Center. You’re definitely going to want to come hungry when visiting Town Center, because the local food options are plentiful. From sunup to sundown, there’s always something good cooking here. Start your day with a nitro brew coffee or juice and a smoothie bowl at Town Center Cold Pressed, whose locally-sourced menu is as tasty as it is good for you. With other delicious food options like Saffron Indian Bistro, Zushi Japanese Bistro, Taste Unlimited, Quirks beer, burger, and burrito bar, and Keagan’s Irish Pub, you’ll be eating good for many days to come. Town Center also isn’t lacking in local options to wash it all down, either, and they have a little something for everyone. 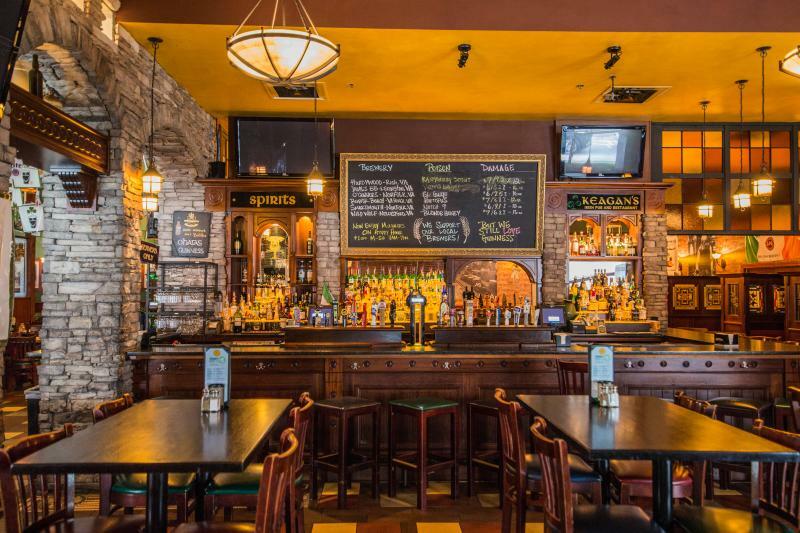 While it may be a nationally-franchised restaurant, the brews pouring out of Gordon Biersch Restaurant Brewery are all created and brewed locally, and definitely worth a sip. For lovers of wine, Sonoma Wine Bar has hundreds of options, essentially on tap. While deciding which wines to try may be difficult, drinking them certainly isn’t. Twist Martini & Associates is the place to be if you’re looking to end your evening with a couple of cocktails. 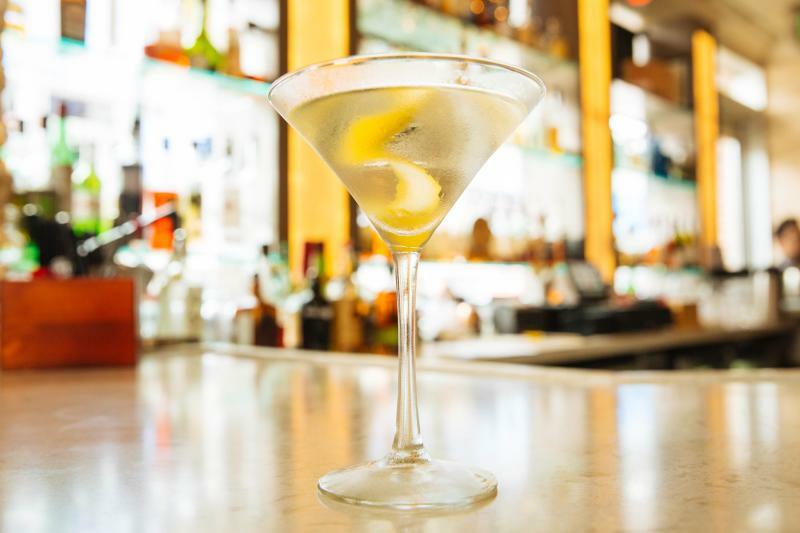 Try the Happy Martini. It will definitely put a smile on your face. If you’re in search of something a little sweeter, you have options here, too. 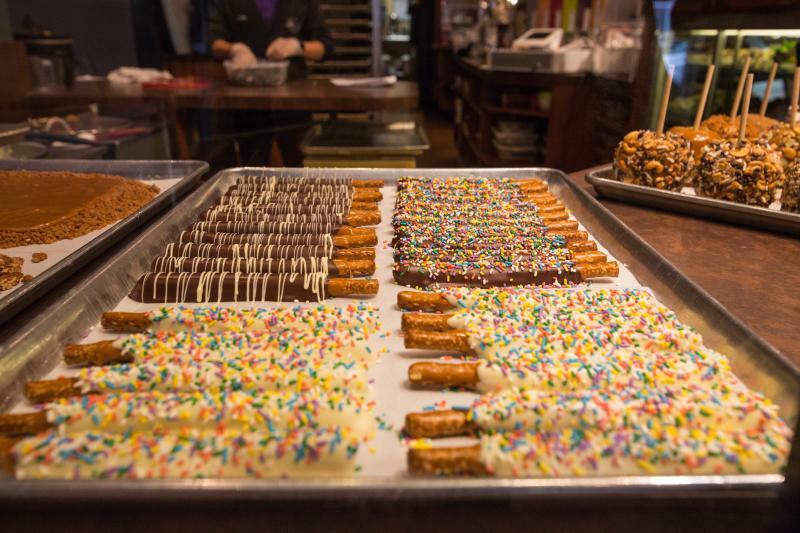 Candy connoisseurs can find some of our favorite local confections at The Royal Chocolate. With their melt-in-your-mouth chocolate made right there in the shop, this place is worth a visit for the aromas alone. If cake is more your speed, Just Cupcakes, who has been featured on the Food Network’s “Cupcake Wars” is the spot for you. After you finish your cupcake we recommend heading over to Confetti Caffe & Gelato for a scoop of mouthwatering homemade gelato to go with it. You also won&apos;t want to leave Town Center without stopping by one of the newest additions, Macaron Tart. With all natural, made from scratch, French macarons and tarts, recreational cooking classes, kids cooking camps, light brunch, and Hight Tea anytime, this shop is a must-try at anytime of day. This woman owned local bakery bakes small batches in-house to ensure that the quality is always high, and it shows in every bite. 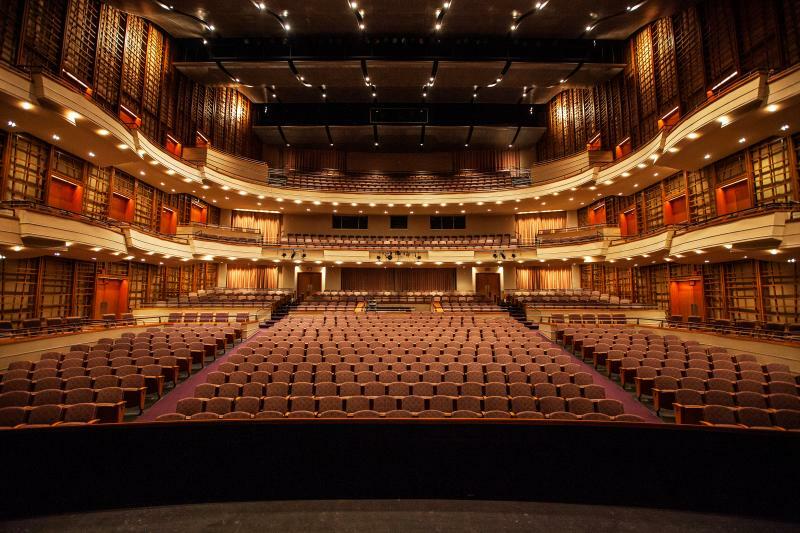 For lovers of the performing arts, Town Center is home to live productions featuring everything from local artists and regional symphonies to legends of the stage. Every Wednesday evening in the summer, don’t miss the dancing and dishes at YNot Wednesdays? concert series in the Sandler Center Plaza, with musical acts of all genres and generations. Speaking of Sandler Center for the Performing Arts, the 1,200 seat hall is a masterpiece of acoustical engineering that opened in 2007, and now brings acts from all over the world, including national recording artists, world-renowned symphonies and orchestras, and theatrical masterpieces. For a cozier experience that can only be found in Virginia Beach, Zeiders American Dream Theater is a professional nonprofit theater that gives local writers, performers, and artists the perfect platform to inspire artistic expression of all varieties and has become an integral part of the local arts community. Zeiders will also soon be opening up a much larger, state-of-the-art, two-theater, facility on the opposite end of Town Center. For fans of the visual arts, don’t miss the nationally-acclaimed Jones Art Gallery, featuring original paintings from three generations of the Jones Family. Collectively, the family’s artwork has graced the covers of nine New York Times Best Sellers, including works by John Grisham and Ian McEwan, and has received artwork credits in over 100 million books to date. With nationally-recognized brands, local boutiques, live entertainment and unlimited culinary options, Virginia Beach Town Center is a must-add to your Virginia Beach itinerary. Start planning your trip now!